Aldi picked up the Supermarket of the year gong at The Grocer award ceremony this week so it appears I picked the right time to publish a new article on their small but beautifully formed wine selection. This week’s pick for #newwinethisweek should be a popular one after a few weeks of experimentation and there are have been some very interesting and controversial articles on thw wires this week. Sadly we said goodbye to Rik Mayall this week so this week’s “light relief” section is all about the great funny man… Cheers. 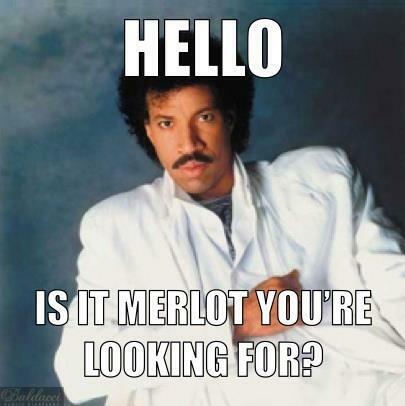 Hi-ho, hi-ho, it’s back to Aldi I go… and I like what I found! No excuses for not getting involved this week… its Kiwi Pinot Noir all round! 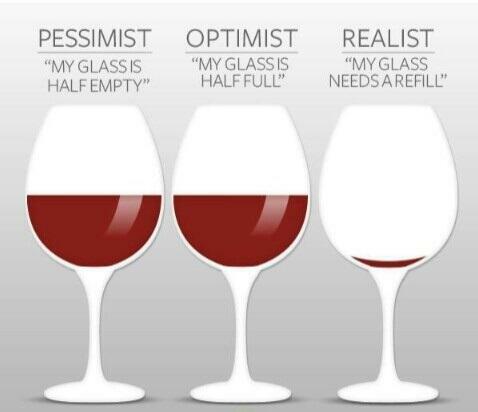 Ever thought about becoming a Master of Wine? Check out this year’s examination papers and think have another think! 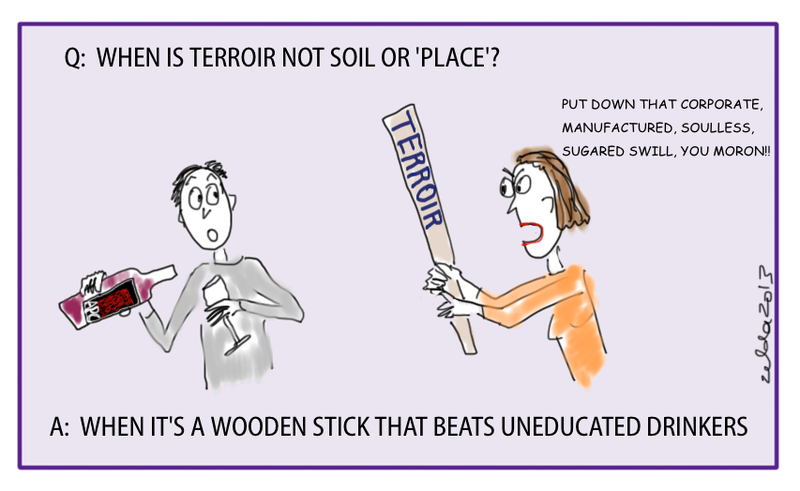 This week’s image is from the brilliant http://theillustratedwine.wordpress.com/ linking nicely back to the first news story! 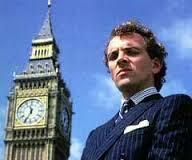 Its been a sad week for British comedy with the Death of Rik Mayall on Monday… so here are some of his best lines from The Young Ones, Bottom, Blackadder and The New Statesman. Just try and keep a straight face! Rick (Ode to Cliff Richard): Oh Cliff / Sometimes it must be difficult not to feel as if / You really are a cliff / when fascists keep trying to push you over it! / Are they the lemmings / Or are you, Cliff? / Or are you, Cliff? Rick: Bad for society when the kids start to get into it! Rick: I’m going to write to my MP! Neil: But you haven’t got an MP, Rick, you’re an anarchist. Rick: Oh right. Then I shall write to the lead singer of Echo and the Bunnymen. Rick (to Madness who are performing in the pub): Do you lot know Summer Holiday by Cliff Richard? Suggs: You hum it… I’ll smash your face in. Rick: I’ll go sit over there. Rick: God, I’m bored. Might as well be listening to Genesis. 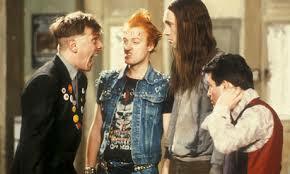 Rick: What are you doing, Vyvyan? Vyvyan: I’m entering a contest to win a Ford Tippex. You have to say what Cornflakes mean to you in 10 words. So I said: Cornflakes. Cornflakes. Cornflakes. Cornflakes. Cornflakes. Cornflakes. Cornflakes. Cornflakes. Cornflakes. Rick: Pathetic! You’ll never win, Vyvyan. Rick: It’s only nine words. Richie: What about pin the tail on the donkey? Richie: Well, pin the tail on the chicken. Richie: Oh. Well, pin the sausage on the chicken? Richie: Well, pin the sausage on the fridge. Richie: Sellotape a sausage to the fridge! Richie: Put a bit of sellotape on the fridge! Eddie: It’s not much of a game, is it? Eddie: Why are you putting mayonnaise on your face? Richie: It’s not mayonnaise, it’s sun tan lotion. Eddie (examining bottle): Never heard of low calorie sun tan lotion. Richie: What? Oh no, blast! Oh God! Oh! Argh-rrgh! Phuh! Well where’s the sun tan lotion then? Eddie: You squirted that into your cheese roll. Richie: But I ate that! Richie: Well why didn’t you tell me? Eddie: Because I don’t like you very much. Flashheart: It’s me, Flash! Flash by name, Flash by nature. Hurrah! Blackadder: Where have you been? Flashheart: Where haven’t I been! Woof! To Baldrick (dressed as a bridesmaid): Thanks, bridesmaid. Like the beard. Gives me something to hang on to! To Nursie: Ah Nursie, I like it firm and fruity. Am I pleased to see you or did I just put a canoe in my pocket? 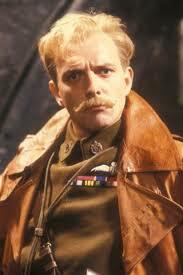 Flashheart: Hi, Flashheart here. Yeah, cancel the state funeral, tell the King to stop blubbing. Flash is not dead. I simply ran out of juice! Yeah, and before all the girls start saying “Oh, what’s the point of living anymore”, I’m talking about petrol! Woof, woof! Flashheart: Enter the man who has no underwear. Ask me why. Others: Why do you have no underwear, Lord Flash? Flashheart: Because the pants haven’t been built yet that’ll take the job on. Flashheart: Just because I can give multiple orgasms to the furniture just by sitting on it, doesn’t mean that I’m not sick of this damn war: The blood, the noise, the endless poetry. I suppose life’s just too easy for me. I mean, I’m incredibly rich, I’ve got the largest majority on the House of Commons and, if I was any better looking, I think people would suspect I was an android. We hear an awful lot of leftie whingeing about NHS waiting lists. Well the answer’s simple. Shut down the health service. Result? No more waiting lists. You see, in the good old days, you were poor, you got ill and you died. And yet these days people seem to think they’ve got some sort of God-given right to be cured. And what is the result of this sloppy socialist thinking? More poor people. In contrast, my policies would eradicate poor people, thereby eliminating poverty. And they say that we Conservatives have no heart. Who in this country was not moved when that great Englishman, Gazza, wept bitter tears at the World Cup last year? People thought that he was crying because he had been booked by the umpire and so would miss the final. But that was not the reason. He was crying at the thought that the Conservative government, the only government this young hero had ever known, was behind in the opinion polls. Why should we, the country that produced Shakespeare, Christopher Wren – and those are just the people on our banknotes for Christ’s sake – cower down to the countries that produced Hitler, Napoleon, the Mafia, and the… the… The Smurfs! You know the really great thing about a fudged coalition is that neither of us need to carry out a single promise of our election manifestos. Posted on June 12, 2014, in Uncategorized. Bookmark the permalink. 1 Comment. 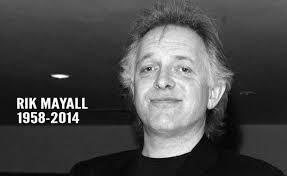 I was really saddened by Rik Mayall’s passing. 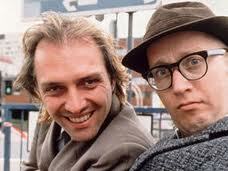 I’ve started re-watching Bottom from the beginning – just seen the Gas Man episode. Incredible stuff.